Volunteering is a dynamic, enriching experience for adults and children alike, and more families are looking to volunteering as a way to spend time together. Read on to learn how volunteering can benefit the whole family. Children learn through observation and model this behavior. When parents or other family members exhibit compassionate behaviors, even young children learn that compassion is a behavior with positive consequences. Volunteering teaches other values that parents work so diligently to instill in their children — values such as selflessness, responsibility, and gratitude. You find yourself with that rare free weekend . . . now what do you do with the kids? Hiring a sitter for just a few hours away can be a hassle (and quite expensive). Why not volunteer — and bring the kids along? Many nonprofits are working to make their opportunities more family-friendly so that everyone can get involved. Plus, volunteering is free! It’s one of the best, cheapest ways to keep the family engaged and active while making a positive difference in the community! Families are busier than ever, but they still want to carve out time to be together. Volunteering is a great way to strengthen family bonds, all while making a difference in the community. Ask your children about what causes are important to them. Encourage your family to learn more about the cause. Families who talk about compassion and service will help children understand why the work they’re doing is important to others. Additionally, having a conversation about volunteerism will help ensure the children are prepared for and engaged in the experience. Volunteering helps children to develop interpersonal skills and essential habits like leadership and teamwork. It’s also an opportunity to support the learning that happens in school. For example, your community’s park restoration program can enhance this year’s environmental science curriculum. 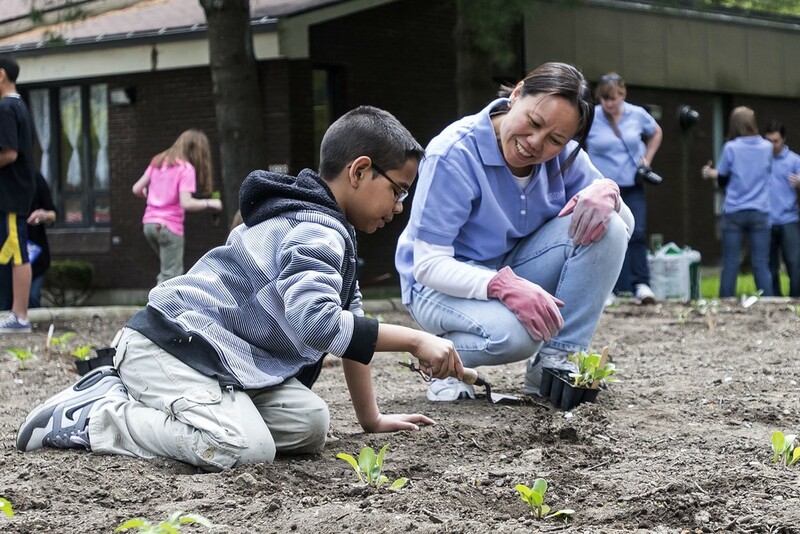 Whether your child simply learns a new skill like gardening, or develops a deeper understanding of food insecurity, volunteering is an opportunity to supplement in-classroom learning. There are countless benefits of volunteering as a family (altruism is reason enough to get involved!). But this doesn’t mean it has to be a chore. In fact we think volunteering can be lots of fun! Helping out at an event-day can make for a powerful bonding experience and a perfect feel-good Saturday. Chances are, the kids just may want to volunteer again! Are you a nonprofit? Stay tuned for our next article on how to make your opportunities family-friendly. Addison writes for Galaxy Digital, the best volunteer management software for 2018.